The Ridges, located within the Summerlin master-planned community, is a luxurious, private community located at the highest point in Summerlin, offering unobstructed strip, mountain and city views. The Ridges Las Vegas is bordered by the magnificent Red Rock Canyon National Conservation Area to the west, virtually in the backyard of The Ridges’ residents. Unique architectural designs and lot sizes ranging from ¼ to 1 acre make The Ridges in Summerlin one of Las Vegas’ most lavish communities. Winding through The Ridges Las Vegas community, is the eighteen-hole, par 72, Jack Nicklaus designed Bear’s Best Las Vegas Golf Course, the first Bear’s Best golf course in the world. Each of the world-class eighteen holes are replicas from other Jack Nicklaus courses throughout the Western United States and Mexico. In addition, The Ridges in Summerlin residents enjoy the private Club Ridges, offering a resort style swimming pool, state of the art fitness center and tennis facilities. The Ridges of Las Vegas residents have access to the master-planned community of Summerlin Park System. Comprising of 23 parks and over 80 neighborhood parks, the Summerlin Park System is second to none. At present time, in addition to the Summerlin parks, there are over 150 miles of walking/jogging/biking paths making up the Summerlin Trail System. Connecting smaller individual communities throughout Summerlin, the Summerlin Trail System will eventually boast a total of 200 miles of paths. The Summerlin Hospital Medical Center, which includes the Children’s Medical Center at Summerlin Hospital, offers a comprehensive range of specialties and services, including Emergency Services and a Robotic Surgery Institute. The hospital has recently expanded its pediatric care and open heart surgery services, including the addition of a six-story town that contains 173 private patient rooms and expanded emergency room. Contact our The Ridges Las Vegas Home Buyer Specialist department at (702) 858-7598, or via email, for a free The Ridges home buying consultation. 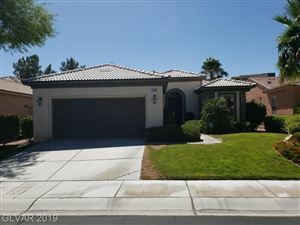 For additional information on selling your property in The Ridges in Summerlin, please contact our The Ridges Las Vegas Listing Specialist at (702) 858-7598, or request a free home comparative market analysis here. What is my Home Worth in The Ridges? How much will my Home Sell for in The Ridges?